Sea Story, a Close Call with Fire | Christian & Co. This sea story originates from an insurance claim we were involved with and comes with a lesson. The story beings with the purchase of a five year old 45’ motor vessel equipped with two diesel engines. The buyer had a marine survey and a mechanical survey at the time of purchase. She bought the vessel and hired a captain to train her in its operation. Fifteen minutes into her fourth training session there was a change in the color of the engine exhaust smoke and subsequently they find the cabin thick with smoke. A fire had started in the engine room. The fire was extinguished by a fixed, automatic fire extinguisher. 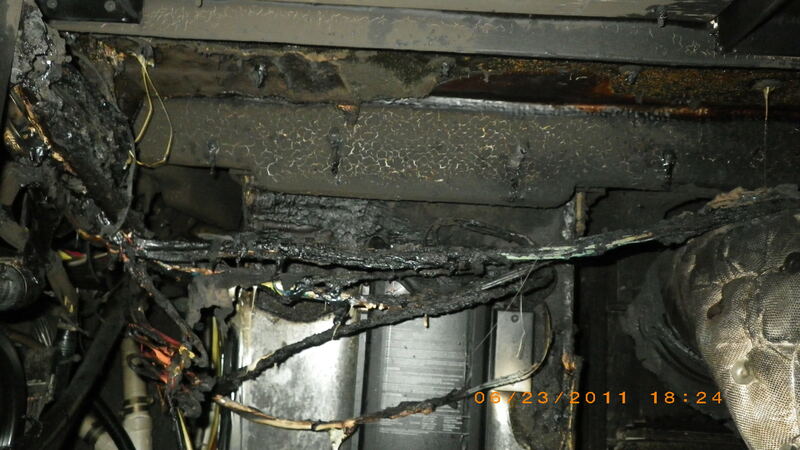 Our investigation found the fire was caused by a severely overheated engine exhaust system. 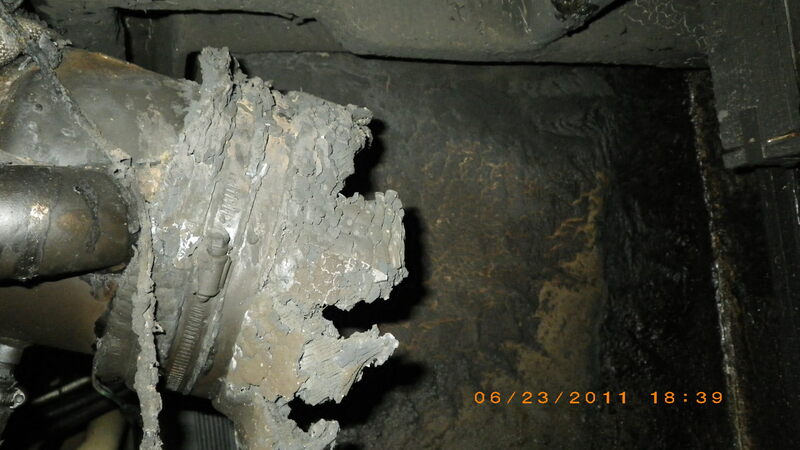 The raw water pump impeller had failed, and was the root cause of the engine and exhaust system overheat event. The exhaust blew against combustible material and ignited the fire. The captain stated that he had not been watching the engine instruments, but had heard no audible engine alarm. 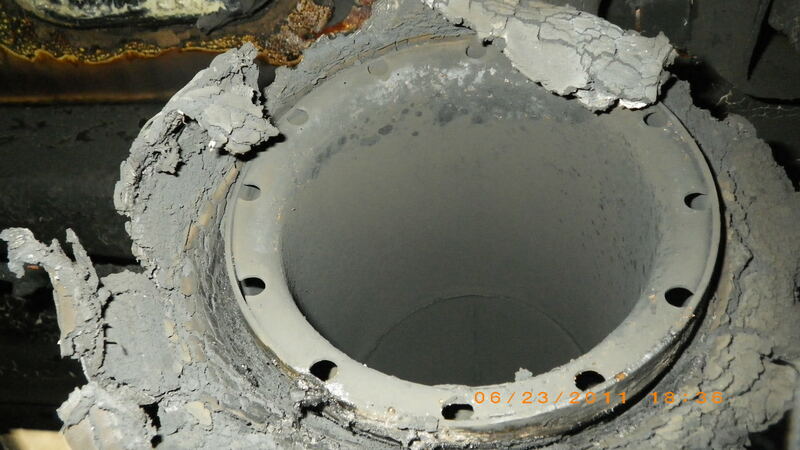 The recently completed mechanical survey did not mention a problem with the audible alarm system, but further investigation revealed the mechanic had found the problem, but that finding did not make the report. The mechanic had provided his handwritten notes to the report writer, but the inoperative engine alarm note was written the report on the back of his field notes and the report writer missed this note. The overheating scenario is not uncommon. It takes about fifteen minutes for a boat engine to severely overheat, in a normal usage situation. 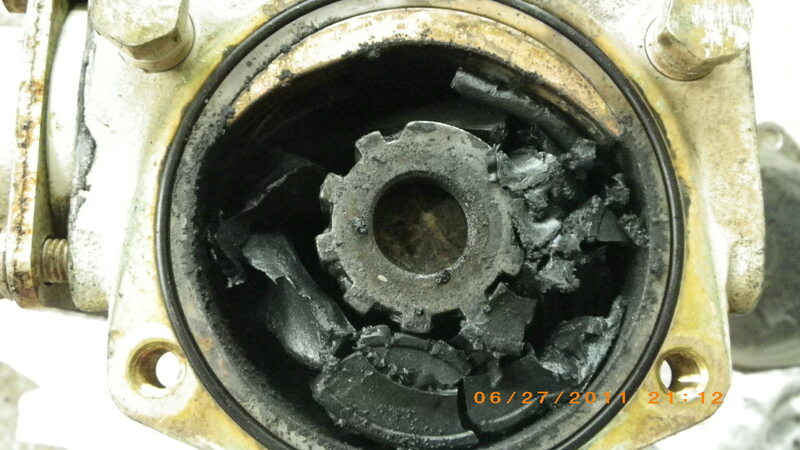 Had the audible alarm alerted the captain or the owner to the engine overheating condition, the engine would have been turned off prior to catastrophic failure and prior to the fire. Engines overheat all the time with very little consequential damage. This story had a semi-happy ending. Nobody was hurt, we got a job, the insurance company paid a total loss and another boat was purchased. The boat broker sold two boats in a short period of time and was extremely happy. We assume the boat owner went on to pursue her dream of boating and lived happily ever after.